Wiscasset was a prosperous seaport in the late 18th century, filled with sailing ships and international commerce that supported a sophisticated social scene. 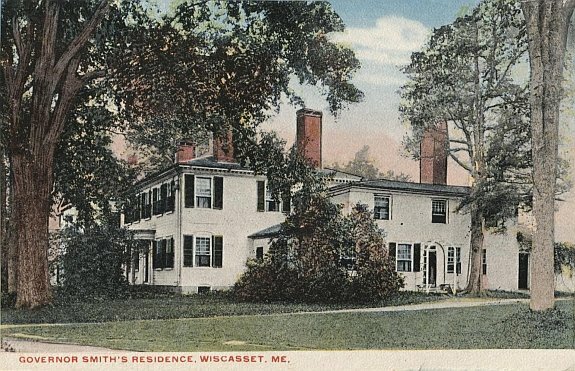 Wiscasset ships brought cargos of lumber, fish and fur to Europe returning with manufactured goods and accoutrements for the fine mansions in town. The smell of tar and the sounds of the docks filled the air. Everyone made their living from shipping and the businesses that supported it, until it all abruptly stopped with Jefferson’s Embargo of 1807. Trade revived after the War of 1812 ended, but the world of international trade had moved on. 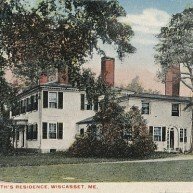 In the 1890s, Wiscasset was rejuvenated by an influx of wealthy families looking for a summer home in a quaint New England village. They were looking for a place of cool and quiet charm on the water, where cars, telephones and other modern distractions were slow to take root. 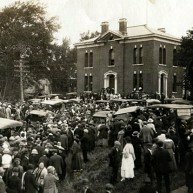 These families bought and preserved the large historic homes we see today. Today, Wiscasset is known for its historic character and picturesque location on the Sheepscot River. 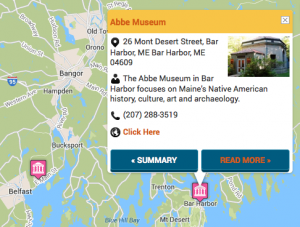 Visitors can enjoy the charming downtown filled with shops and eateries, and take a leisurely walk through the town’s past with Wiscasset’s Museum in the Streets, a 30-panel self-guided tour of the village, told through historic photos and stories. 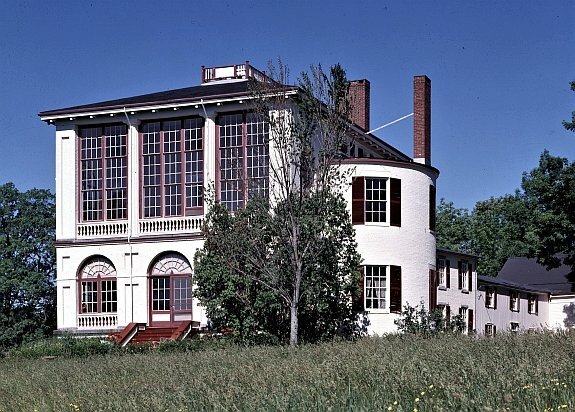 Built by Judge Silas Lee in 1792 and later home to three–term Maine Governor Samuel Smith, this house is considered one of the finest examples of Georgian architecture in New England. A must-see for architectural history enthusiasts. Castle Tucker is one of the most fully intact 19th century homes in America featuring textiles, furnishings, and personal belongings. 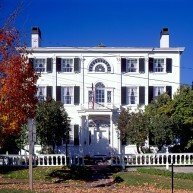 Built in 1807 by Judge Silas Lee, the house had several owners before being purchased by Captain Richard H. Tucker, Jr. in 1858. 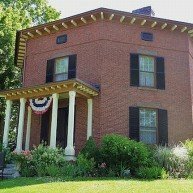 The Tucker family lived in this home for almost 150 years, through good times and bad, preserving it to tell the authentic story of a bygone way of life. 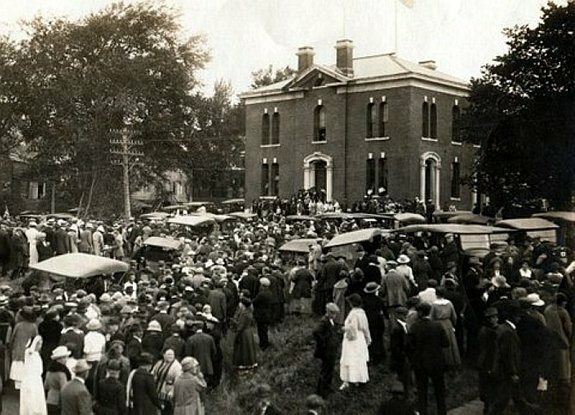 Castle Tucker is now open to the public as an historic house museum. 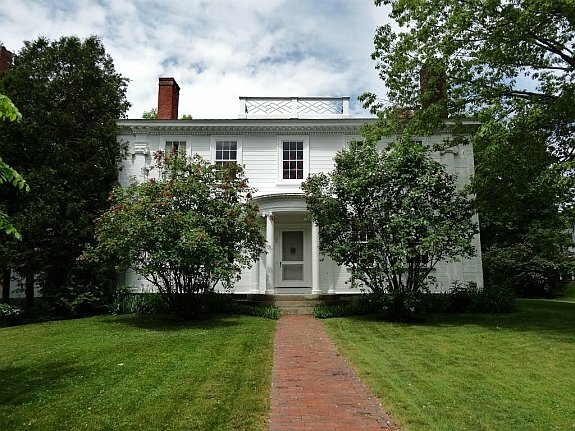 This 1807 Federal style house was built by a sea captain as a statement of his success. It was purchased in 1899 by industrialist Alvin Sortwell who saved the building from disrepair. 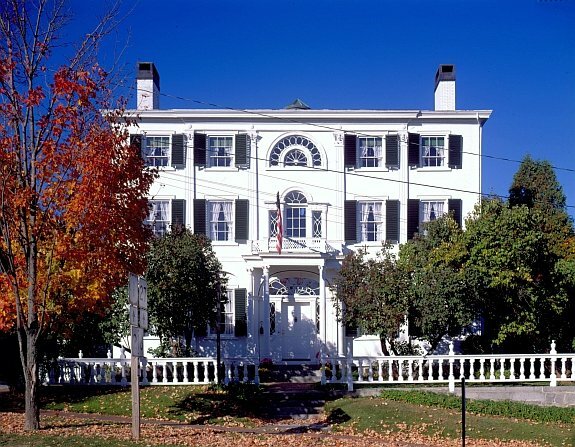 The Sortwells restored the house’s original architectural features, and the family enjoyed it as a cherished family vacation home until 1957 when they gave the house to Historic New England as a museum. The house is a National Historic Landmark. In 1789, President George Washington designated Wiscasset an official U.S. Port of Entry. Ships entering the U.S. had to show documents identifying the vessel, cargo, and country of origin and pay a fee. Customs fees were the government’s primary source of revenue in the days before taxes. This Custom House was built in 1870 and decommissioned in 1913. Today it is a private home. 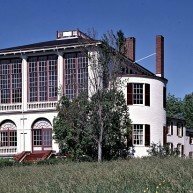 In 1855, master mariner Captain George Scott built a house unlike any other in Wiscasset – a brick house in the shape of an octagon. The floor plan was supposed to be healthier, with the eight sides allowing more windows and light into the house. 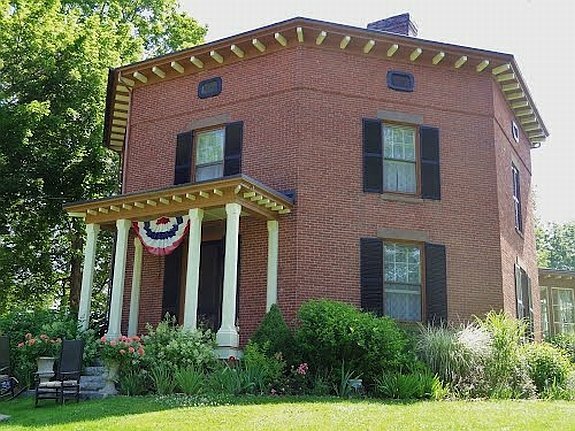 Octagon houses were only popular for a decade. 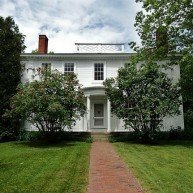 Today, Wiscasset’s is well-preserved as a private home.